If blog posts had flavors, most of them would taste like vanilla. Public relations can accept part of the blame. By any other name, the vanilla blog post would be called the "inverted pyramid." Vanilla, vanilla. A thousand times vanilla. So where did the all-vanilla rule come from? Conspiracy theorists might suggest it was planted by the vanilla bean growers, but journalists embraced the inverted pyramid because of the telegraph, and later because it was easier for editors to snip stories to fit whatever space the paper had available with no one being the wiser. It made sense. As papers grew and people had less time to read, they skimmed the opening content. In many cases, readers were able to get the gist of the story, and then self-select themselves on whether they would read the whole thing. Nobody really cared whether they did or not. Newspaper circulations are based on delivery not readership. It also made sense for public relations pros to adopt this format for news releases. There is nothing worse for a journalist than reading a dry, boring marketing-laced story that never seems to get to the point because it has no news value except for the owners of some copy and the public relations person. But then again, let's not forget that press releases are not meant to be published. They are meant to be one step up from an outline. Not everybody likes vanilla. At least not every day. 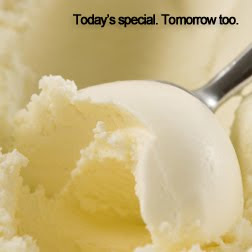 While the majority of people like vanilla, it's a thin majority consisting of about 29 percent of the population. I suspect the same holds true for inverted pyramid readers too, regardless of what search engines and shares might do. It gets boring. But more importantly, there are two other considerations to make. Most blogs are not just trying to report the news, giving people the option to read a little bit and move on. Engagement matters. There are not ten news stories competing for attention on the page (unless it is a paper). If they are reading your content on a regular basis, they are already there. And circulation (traffic spikes) ought not to matter as much as your readership. Of course, that is not to knock the inverted pyramid out completely. Everybody uses it now and again. It especially works like a charm when you have less time to write a post. At the same time, I think we can all agree that scanning half a dozen blogs that read like press releases with the letter "I" sprinkled about gets old. It's gets old writing like that too. Alternatives to vanilla posts to reward your readership. 1. Focus. Focus on one individual's story before ballooning out into a broader perspective. And then circle back around and conclude on the individual's story to summarize what the reader might take away from the story. 2. Scenic/Anecdotal. Recreate the scene or experience surrounding an event (without a focus on an individual), drawing the reader into the story and then transitioning to the bigger picture. Then, circle back to the opening. 3. Dialogue. Emphasize the speech or confessional of the person or persons in the story, demonstrating their plight or pain or point of view. This doesn't mean starting off with a quote; paraphrasing works too. 4. Chronological. Tell a story sharing a chronological series of events from varying points of view, bouncing back and forth between the subjects. It can be tricky to make it coherent, but it tends to work especially when you have cause to show varied perspectives that unite otherwise very different people. 5. First Person. While it is common among individual blogs, organizational blogs (except consultants) make it more interesting. If you are personally touched by a story, write from the heart like you might tell a personal story, even if it spills into participatory journalism. 6. Analogy. This post is just as much a story about vanilla as it is about the inverted pyramid, and the consequences of having too much of the same flavor. What public relations professionals need to learn. Just as many copywriters have to get over writing copy that demonstrates how clever they are as opposed to how clever their client's product might be, public relations professionals need to slowly move away from the inverted pyramid because you're not simply pitching a story — you're telling it. Right. Public relations professionals communicating direct to public have to realize that they are no longer communicating to a busy journalist who will build upon or kill a story based on the first paragraph (even if story leads still matter). If consumers are on your page, give them a reason to read past the opener because wherever they might go next will not be on the next page of your blog. It will be the next blog on their list.